A week from Sunday, I’ll be in Costa Rica. This trip certainly snuck up on me, but it couldn’t have arrived at a better time, either. When it comes to living and breathing in nyc, I need a break every now and… always. I’ve been thinking a lot recently about the art of traveling alone. I’m excited that every decision will be mine, and the only expectation I have to uphold is my own. I can set my own pace, plan my own itinerary, meet the people I want to meet, talk to the people I want to talk to, and go to bed exactly when I’d like. (9pm? 3am?) It’ll be the most selfish nine days of my life… and I can’t wait. Learn a few words in spanish. So far I only know “hola,” “adios,” and “cervesa.” I bet it’s worth knowing a few more. Decide what I’m doing about work. At first this trip was my chance to unplug from everything. But now I’m realizing if I don’t check my email for nine days, my inbox will probably give me a heart attack (maybe several) when I come back. I may allow myself to organize the inbox a few times throughout the trip. Pack? This will happen approximately an hour before I leave for the airport. Not worried there. The Sloth Sanctuary. Okay. 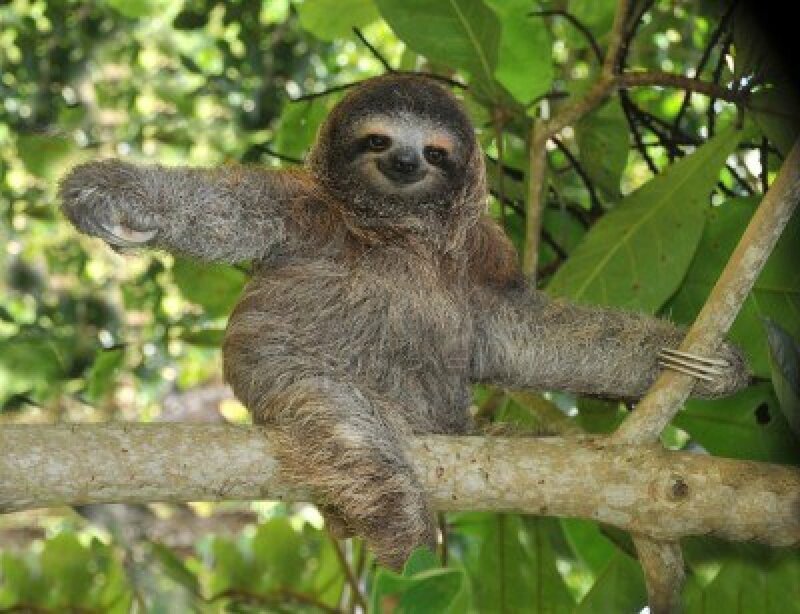 A big reason I decided to go to Costa Rica was because of the sloths. If all I do is sit in this sanctuary for a week and a half and stare at them, I’ll probably still have the best vacation ever. Monteverde is a major ecotourism destination spot, filled with cloud forests, coffee plantations, monkeys, zip-lining, and tree house hotels. There’s a 7am bus from San Jose, so I’ll probably hop on that after my first night and spend a few days frolicking in the forest. Montezuma. Something is pulling me here for a few odd reasons. Montezuma is a small, bohemian beach town tucked away in the Nicoya Peninsula on the Pacific side. While the pacific coast tends to be way more developed and touristy (think: all inclusives), this town is touted for its youthful, hippie, and relaxed vibe. It also happens to be the name of the first track of Fleet Foxes’s Helplessness Blues, a song and album that holds a special place in my heart. Unfortunately, Montezuma is far away from everywhere else I want to go, but I still want to make it happen. Puerto Viejo is the largest town on the Caribbean coast — the side I want to explore most. This coast is known for its laid-back, Afro-Caribbean population, with less tourists and more culture. I want to make some Rastafarian friends, go white-water rafting, and hang out with monkeys. Tortuguero is difficult to get to, which is exactly why I want to go. There are no roads to Tortuergo — a National Park in the Limon Province — which means you need to take a plane or boat to get there. (I’ll choose the latter.) There are canal tours, turtle museums, jungle strolls, and more. 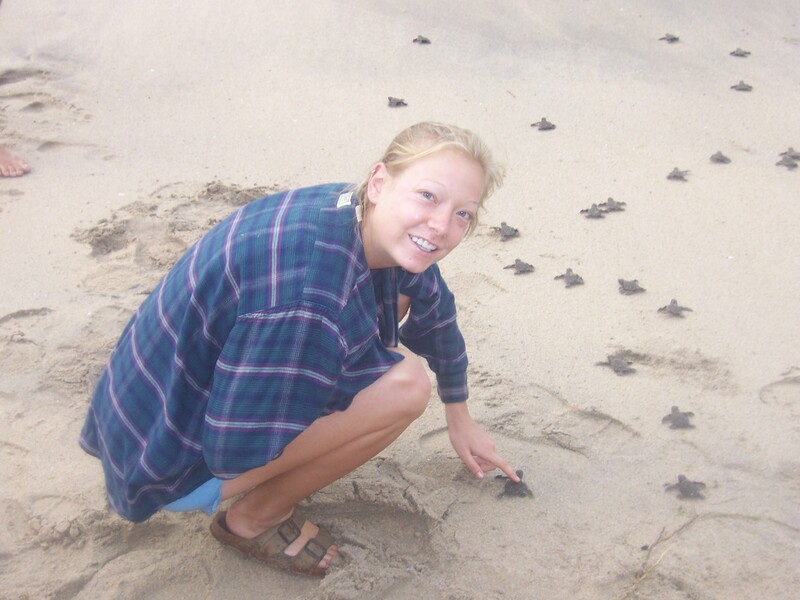 The best part is even though January is “peak season” for Costa Rica, it’s “off-peak” for Tortuguero, since turtle hatching season is from July through October. I’m banking on things being a liiiittle less crowded/cheaper. Plus, I’ve already seen the little turtles do their “being born” thing in Ghana. Sooo that’s what I have so far! And even though I have a basic idea of where I want to go, I totally know it could change within a heartbeat. I may meet a bunch of backpackers my first night and follow suit. Or a local could tell me I have it all wrong and suggest other places to go. I honestly can’t really picture what this trip will look like, which is what makes it that much more exciting. Posted on January 11, 2013, in Uncategorized. Bookmark the permalink. 14 Comments. Hey! That is awesome you are traveling to Costa Rica by yourself! You have a hefty to do list while here. My husband and I have lived here for about 9 months. We live in a city near San Jose but have traveled to a few beach towns. Last time we talked to some locals here they recommended we stay away from Puerto Viejo. I don’t want to frighten you, but there has been some unmentioned crimes going on. We heard bc there was some drug carteling (sp?) cut off. If you do decide to go, just be aware of your surroundings. I wouldn’t walk around at night alone. One of my friends traveled there with her English class and she didn’t think it was all that great. We just went to Manuel Antonio. It was awesome! There is a national park as well, and it’s pretty cool! Think monkeys!! It’s closed on Mondays, just FYI. Monte verde is great too! Some great zip lining and bungy jumping! I would rec going to a volcano while your here too. Poas volcano is pretty amazing. I know there are tours you can book and get a coffee plantation tour included. Thanks for all the info! Obviously safety is my #1 concern, so I don’t plan on being out late by myself around town. Volcano= a great idea, too. I may go up to Arenal after Monteverde. Want to fit it all in! Donde esta el bano? (where is the bathroom, pronounced don-day esta el bon-yo). But you will probably find its very english friendly….can’t wait to hear about your trip after you get back! Sounds like some great itinerary items! Be safe, of course, have fun, and soak it all in! I can’t wait to hear all about it when you get back!! I am super jealous of your trip! You’ll have a great time. I travelled to Mexico City and other parts of Mexico by myself last year and it was amazing. People are so friendly and even a little bit of Spanish goes a long way. Don’t be too worried about safety. I mean, obviously be smart but don’t let fears stop you from doing what you want. I heard so many horror stories and ‘warnings’ of Mexico City- but I felt safe always. Muy buena suerte! I look forward to reading your about your trip! hHaha, tienes novio is probably the best phrase to know, so thank you for that! I plan of just telling people “my husband went to the bathroom!” if anyone asks. Ooooohhh! The photographer/wedding planner/bartenders were all SUPER cuties! And the people there are SO nice. We got married in Guanacaste, on the Bay of Papagayo.